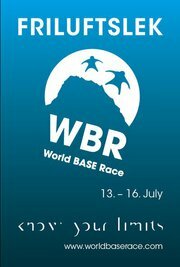 The 2011 World BASE Race has come to a close with Frode Johannessen once again claiming the top spot in wing suits. He is followed by Tom Erik Heimen and Ronny Risvik. In the women’s race, Livia Dickie snatched the top spot over competitor Kjersti Eide. The Tracking event seen Martin Plassen, Thomas Ferger and Neil Amonson round out the top spots. This entry was posted in BASE Jumping and tagged Fastest Human Being, Flying, Norway, World BASE Race. Bookmark the permalink.